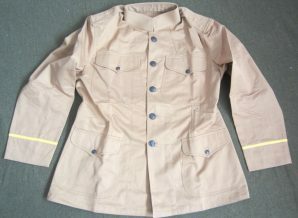 The coat is made of 100% cotton drill having 4 patch pockets with flaps secured with buttons. 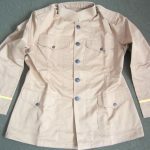 It has a standing collar with a button hole for for collar devices on either side. 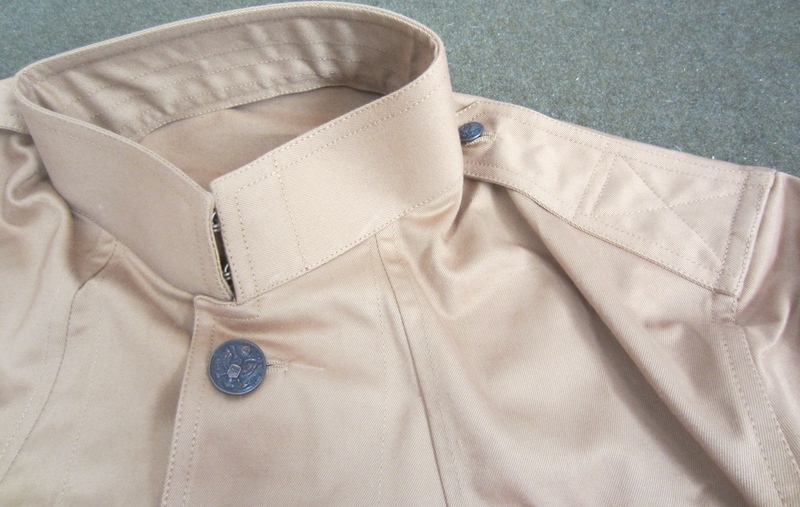 It is closed by r rimmed buttons attached via split rings. 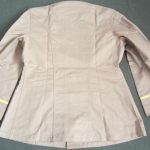 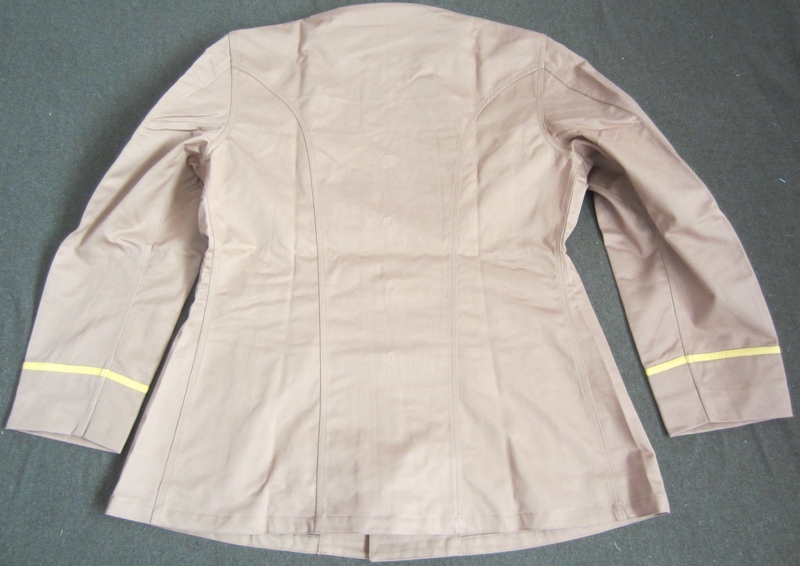 The summer weight coat of the US ww1 (wwi, world war one) army has plain cuffs with a double row of stitching about 3 inches from the bottom of the sleeve. The coat does not have any interior pockets and is unlined. 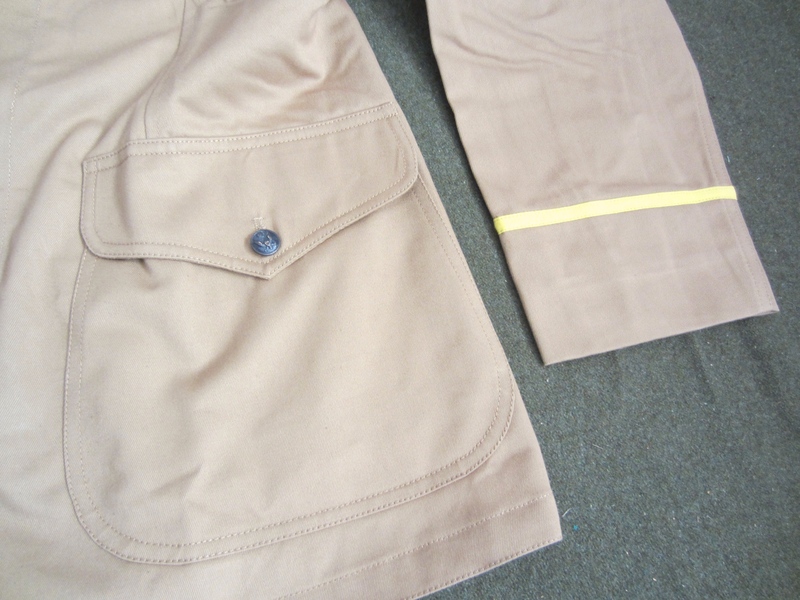 A yellow braid around the cuffs for officers. 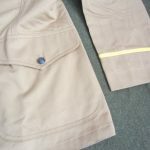 It is constructed in olive drab 6.5 oz fabric and the seams are double stitched in same color thread as the fabric. 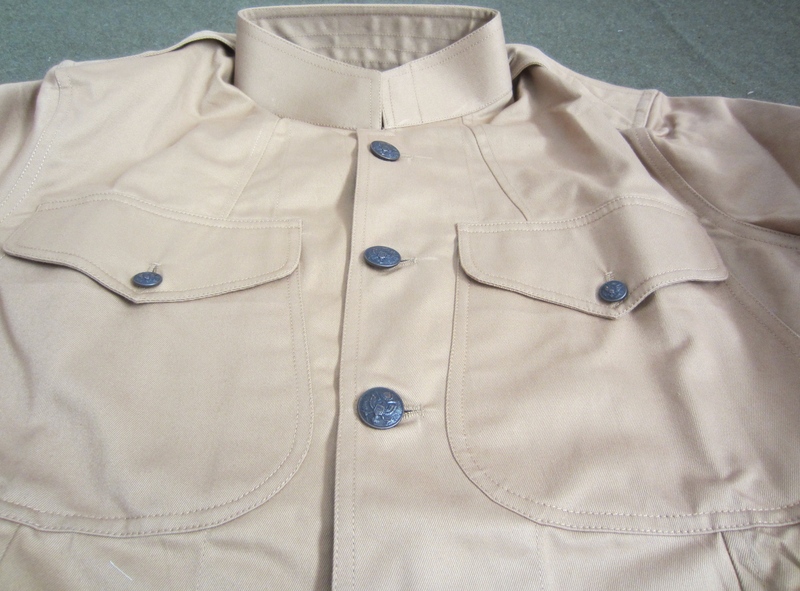 Tapered shoulder tabs or epaulettes are provided. 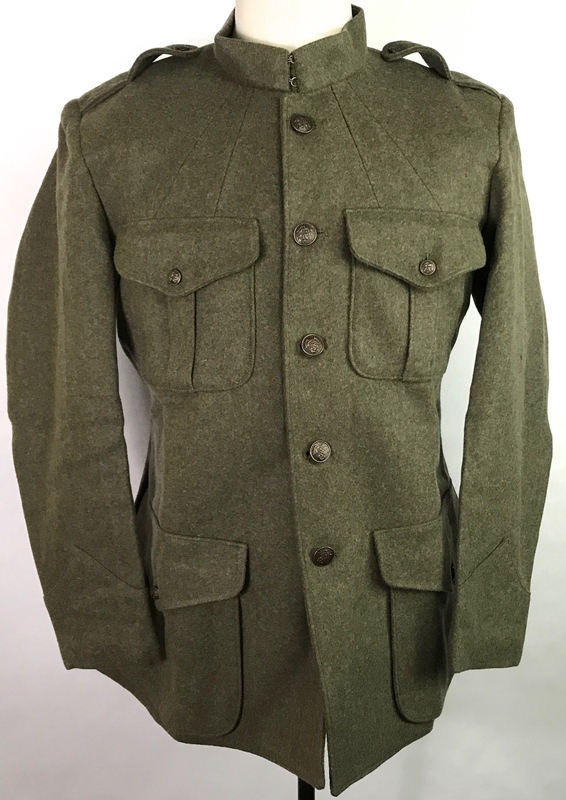 The first major change in the Army cotton uniform was with Spec 1126 dated August 1911. 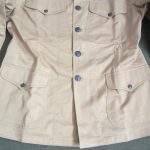 This called for an all-new uniform coat without the bellows pockets, rather having 4 patch pockets with flaps secured by small subdued national seal eagle buttons. 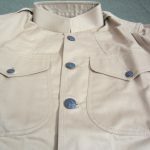 Standing collar, some having button hole sewed in neck for collar devices on each side. 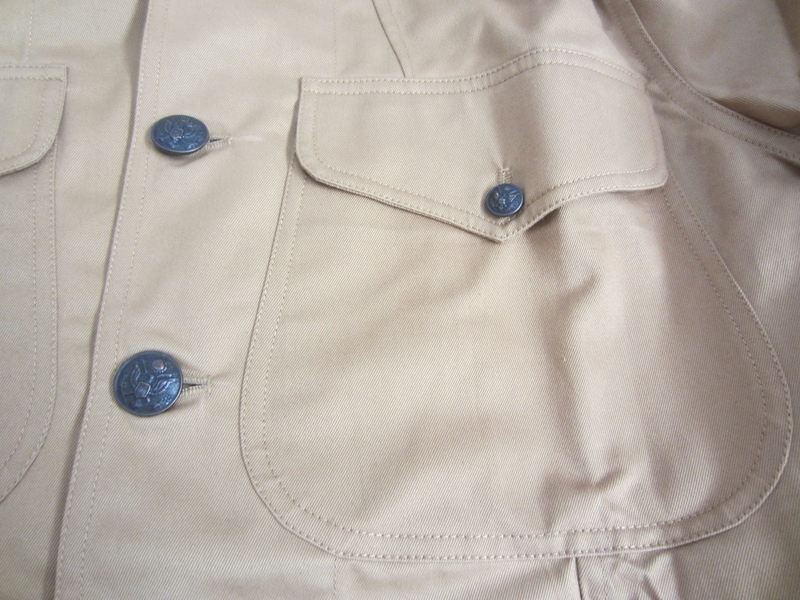 It was closed by 5 rimmed and also issued with rimless subdued national seal eagle buttons attached via split rings. 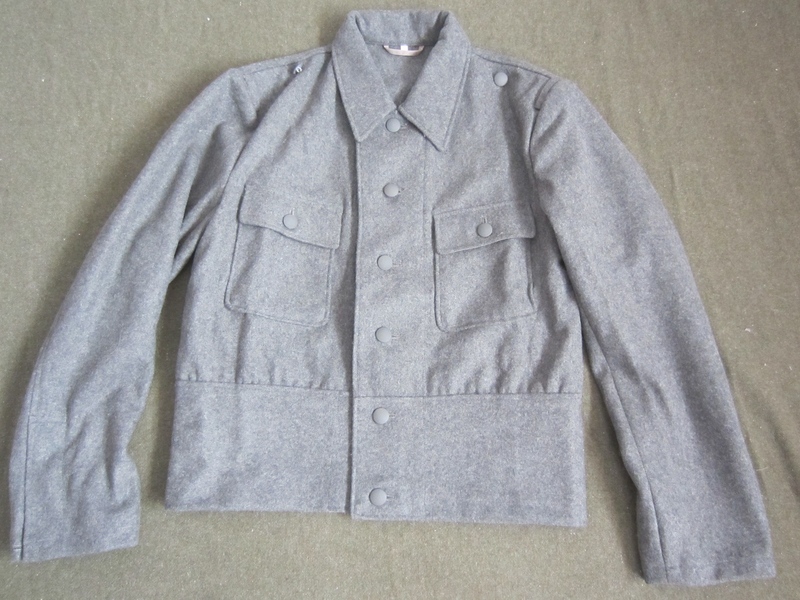 The coat had plane cuffs with double row of stitching about 3in from the bottom of the sleeve. 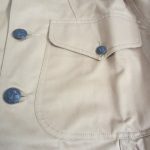 The coat is unlined without interior pockets . 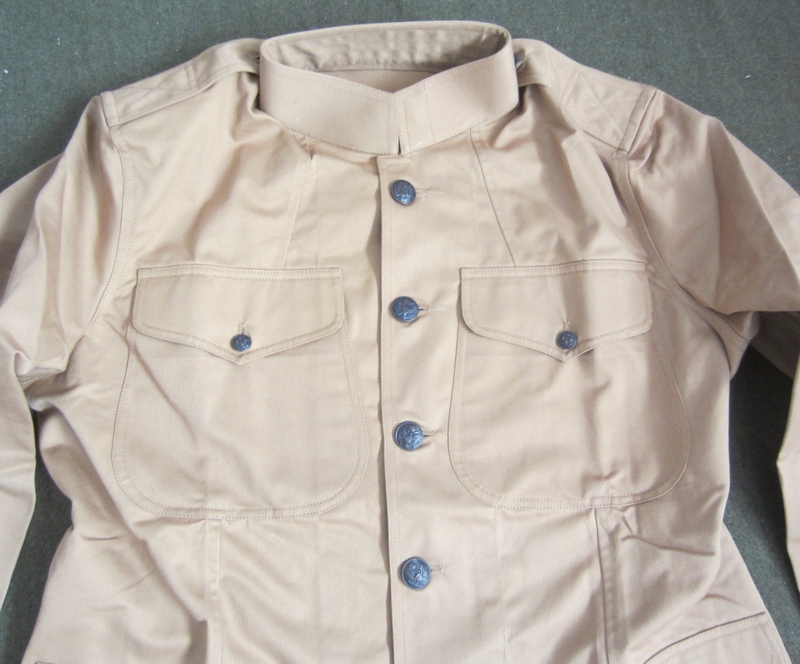 It was constructed of olive drab 6.5 to 7 oz material and all seams are double stitched. 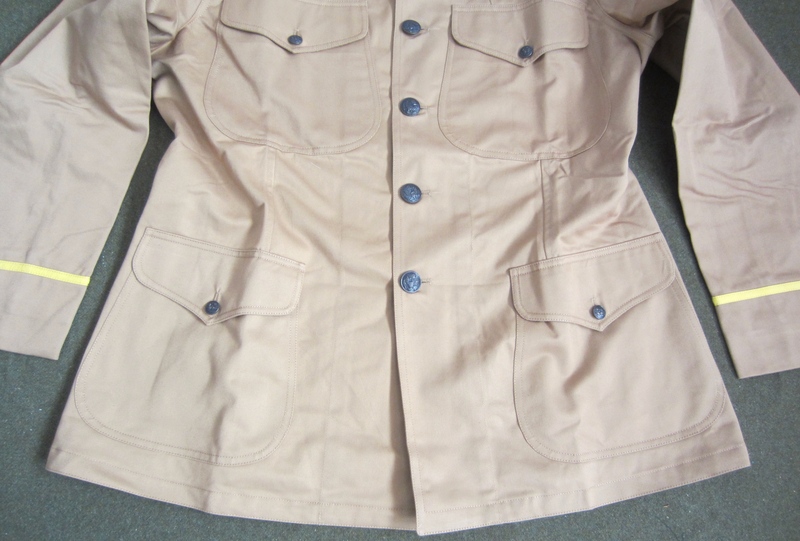 They are found dyed in a variety of khaki colors from light tan to almost brown, tending toward lighter shades. 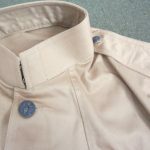 Tapered shoulder tabs secured by two rimless subdued eagle buttons with national seal. 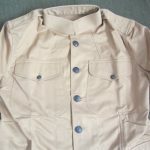 They were in service through 1919.